A very sweet children pink luster ware three piece dish set. 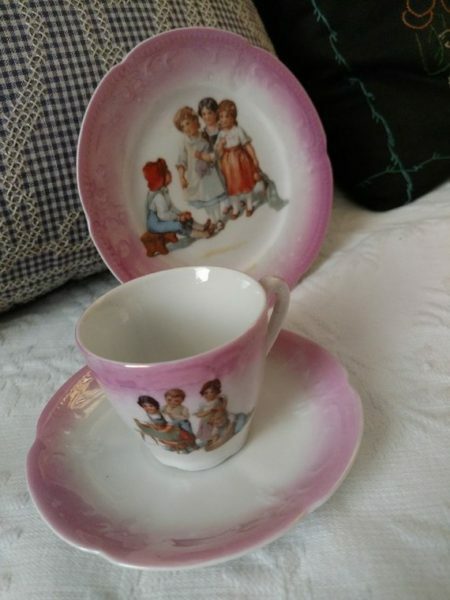 Dating from the Edwardian era, this antique cup, saucer and plate features children in plate. Marked Germany 18 on the bottom of each of the pieces.